Today we met with our Sales Rep - Rob and our Project Manager Sean. Can I just say that they are both so great to work with. The really have made this entire process seem seamless up to this point. At the pre construction meeting we go over every detail and verify all the information that we gave to our sales rep is listed in the information for our project manager. We covered every room, what options we have selected and added anything that was listed on our change order to the plan to build our house. I had a list of questions that I brought along however most of those were answered while we were walking through all the details. It was a great meeting overall. I happen to be on the website for our neighborhood quite a bit. For those who know me they will totally get this because I am a planner. I plan our family vacations down to each day and activity to ensure everyone gets to do most of what they love and it is done in the most efficient manner as possible. So image me planning out our home being built from scratch. I must say both Rob and Sean take me in stride and don't skip a beat. You can tell they have been working together for a very long time (I told them they were like an old married couple). I even started a team Rob and team Sean running point system (somewhat like Twilight has). It really helps keep things lighthearted and fun through what could otherwise be a very high stress trigger. So far Rob is up by a few because he was the first one to show us that our dreams could become more than that! Sean will catch up fast I am sure since he will actually make those dreams a reality. I know in the end they will both hold a special place in our family for the rest of our lives. So with that being said, last week there I was pulling up the floor plan to continue on my forever planning of furniture - what do we need, what do we have now and where will it go and so on. Anyway, while on the floor plan I noticed something - It was modified. 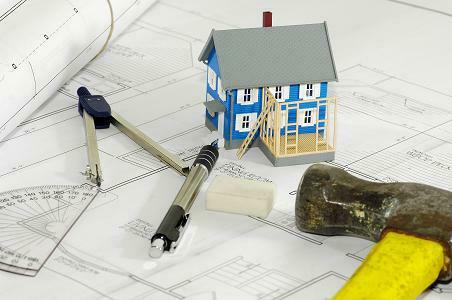 Builders update the versions of homes in a similar manner as car manufactures. And they added my DOUBLE OVER that I wanted from the first day I stepped into a Verona kitchen. My wonderful SR Rob wrote up a change order for me to see if I can get it approved even though our kitchen is technically a different version. Keeping my fingers crossed that it will work out in the end! We are scheduled to break ground on May 8th. Our settlement date on the final review of plans with Sean shows as August 20, that was the only disappointing news since our original date was July 25 however that will give us another month to pack and stock up on items that I want to have on hand going into our new home.